These days, I am getting things done. I’ve finished three quilts so far this year, and I have two more throw-size projects I want to wrap up—basted, quilted, and bound—by mid-April. After that, it will be time to start some new projects. Yippee! But first, here is finish #3. 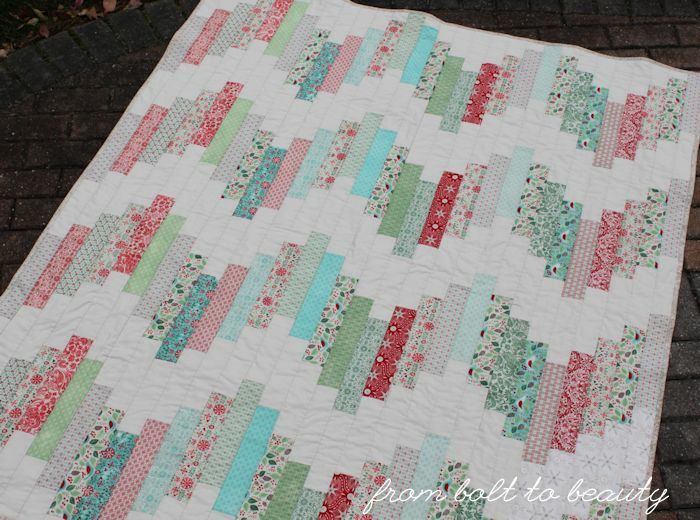 You might remember it from last year’s blog hop with the Fat Quarter Shop. It’s my Bring on the Dancing Horses Quilt. I made another version using Bonnie and Camille’s Hello Darling line. 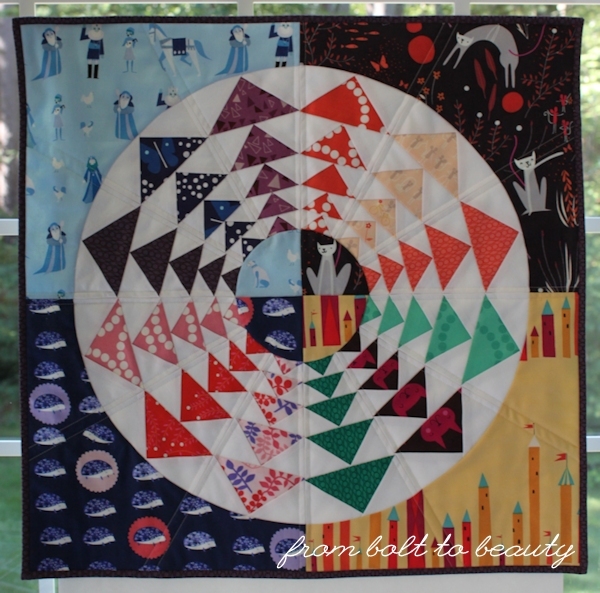 This quilt features the duo’s Daysail. The marriage of crosshatches and dots? Love! The buoys? So sweet and stashable! But these stripes? Those catamarans? I would never, ever buy them as yardage. There’s a lesson in this, though. Now that I see the finished quilt, I look at those same not-so-me fabrics differently and decide that this quilt is a keeper. 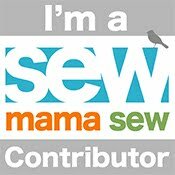 I think part of this change of heart has to do with simply sewing with Daysail. 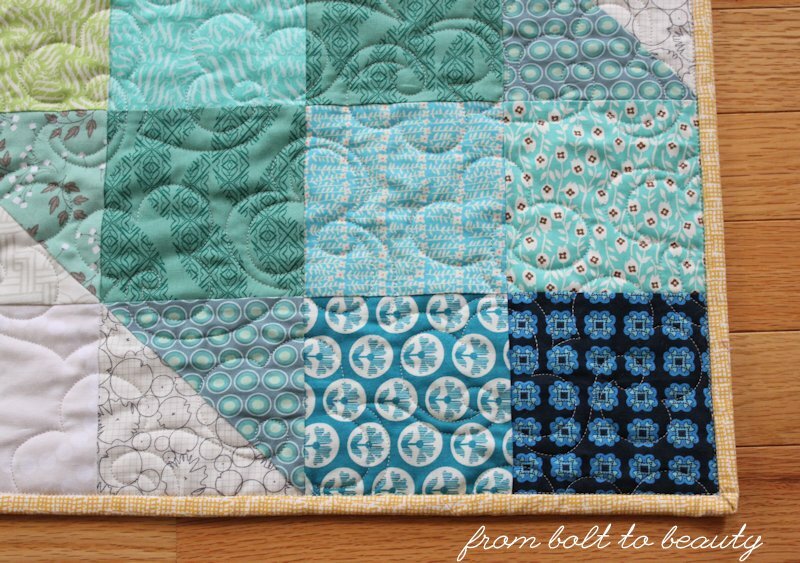 It’s easy to pass judgment on fabrics when they’re sitting on the bolt, but after working with them, after realizing their potential in my quilt design, I see them through a different lens. 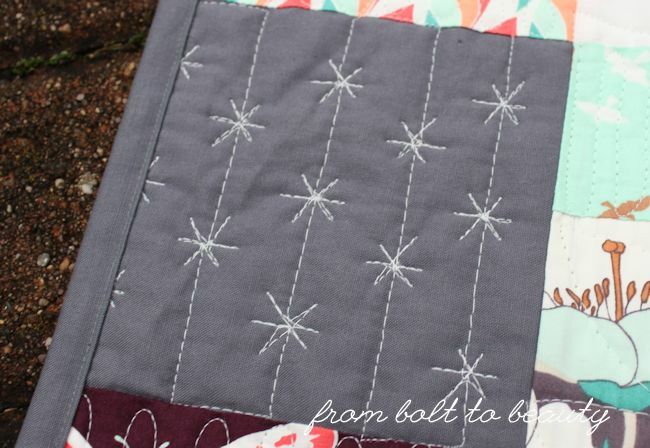 Those fabrics that weren’t stars in their own right have a place in the overall line and a place in my quilt. The strong geometry of the bold stripes and the chunky catamaran fabric, for example, is the perfect complement to the sailboats I would have overlooked if I encountered them in a local quilt shop. 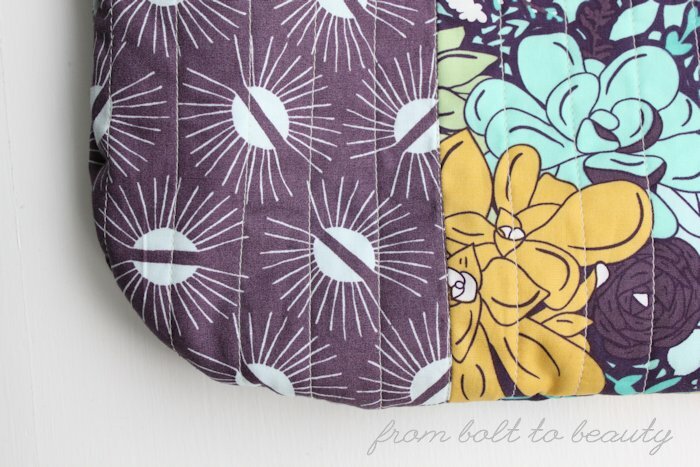 I wonder how many amazing fabric designs I’ve passed by because I couldn’t see past how they appear on the bolt? I will leave you with two parting thoughts, dear reader. First off, I’m forecasting a new trend at From Bolt to Beauty. It’s the mostly monochromatic pieced back. This one—in teals from Denyse Schmidt, Joel Dewberry, Tula Pink, and others—makes me super happy. 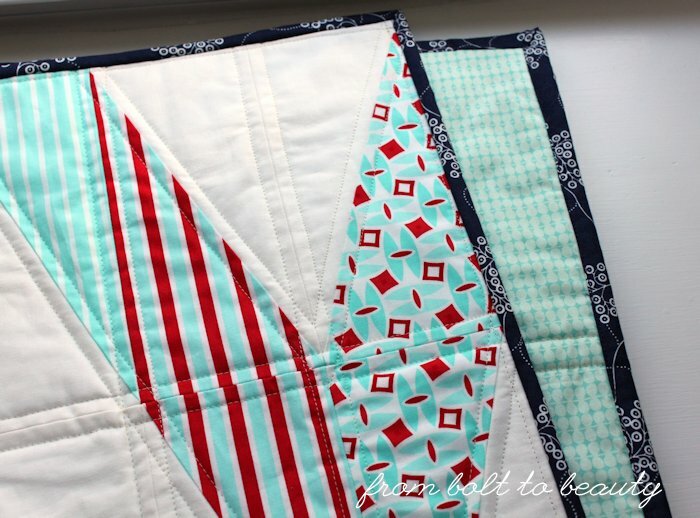 Second—and if you follow this blog, you know this is a big deal—I’m starting to like the quilting part of quilt making. I’ve realized that how much I enjoy the quilting is inversely proportional to how many stitches I need to unpick. If I take my time and start quilting in the center of a quilt instead of sewing from edge to edge, I am a happier quilter. Sure, there are lots of threads to bury, but I don’t recall ripping out more than a few stitches here and there in this project. How about you? 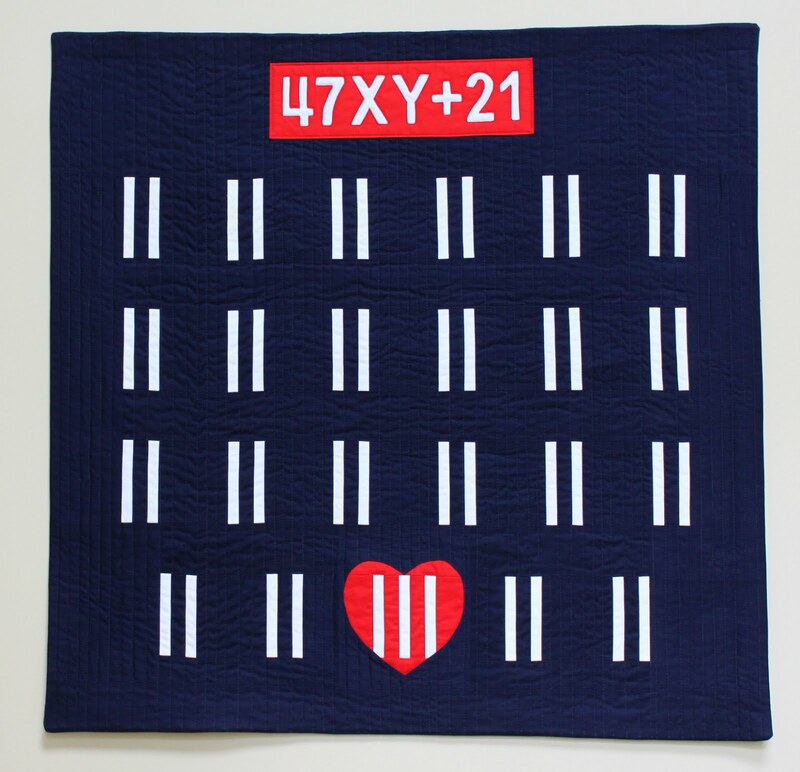 What kind of quilting makes your heart sing? Trips to my local quilt shop are more than fabric-buying adventures. For a stay-at-home mom like me, they are much-needed opportunities for adult conversation. Last week’s shopping trip surpassed my expectations. I got the Bella Solid in white bleached I needed to save this quilt, and I bumped into Kathy, a new member of the NHMQG. Kathy and I chatted each other up, and then we moved on to Miss D, one of the shop’s employees. Miss D knows how crazy pants my life can be—after all, she has witnessed my younger son doing laps around the store’s cutting table!—and during our conversation she expressed her amazement of how I accomplish so much sewing. Miss D’s comment got me thinking. 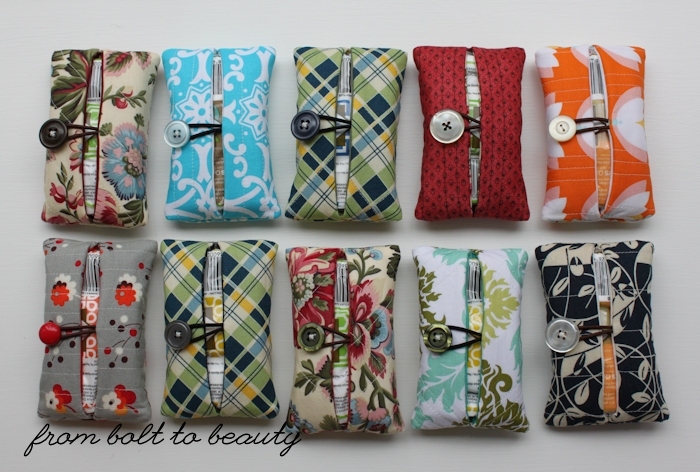 How do I make the most of my time at my sewing machine? 1. I have a dedicated sewing space. I would love to have a real sewing room, one with a door that can be closed to hide the chaos, but I don’t. I’ve resorted to squatting in the dining room. 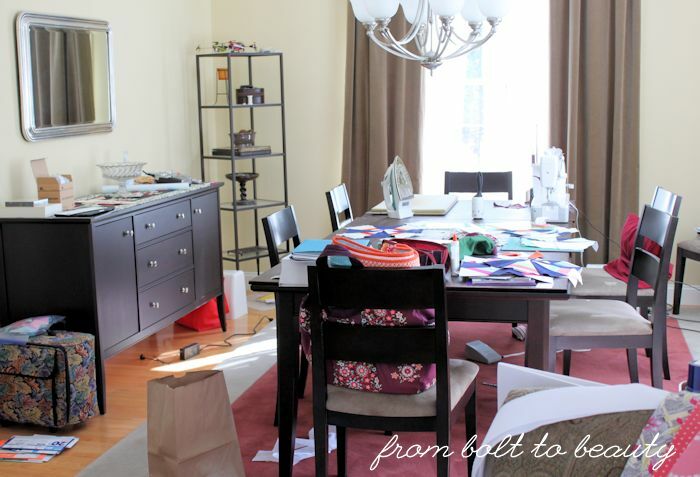 This isn’t a problem—we rarely use the space as a dining room—and I benefit from sewing on a big table and in the best natural light in the house. When my kids are at home, I don’t have big chunks of uninterrupted time, so having a place to spread out my sewing stuff is key. I don’t have to do any packing or unpacking—everything is ready to go. 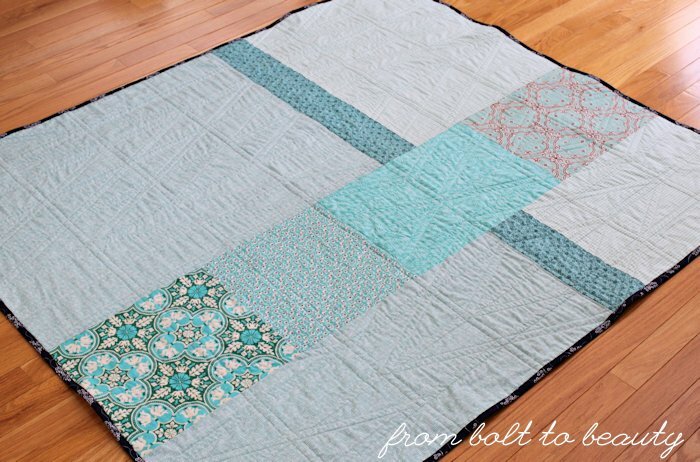 If a peaceful 10-minute slot presents itself, I can cut fabric or chain-piece. Every three or four days, when I can’t stand it any longer, I vacuum up all the loose threads, return fabric to my stash or scrap bin, and restore a sense of order in there. Otherwise, it’s a pit. It’s one of life’s great paradoxes: To make something beautiful, you first have to make a huge mess. 2. I have multiple WIPs at different stages going all the time. 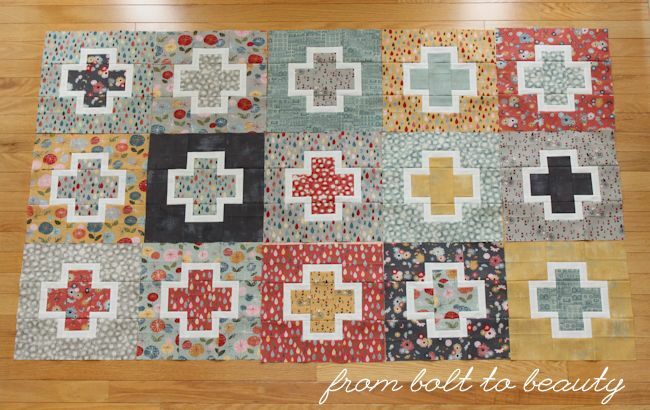 I admire those quilters who have the focus to work on one project from start to finish before embarking on another. For me, that’s drudgery. Sometimes I want to mindlessly chain-piece. Other times I want to dig through my scrap bin or cut fabric. I can get overwhelmed with too many WIPs, but five or six at a time gives me options to do what I feel like doing on a given day. 3. My WIPs are different kinds of projects. My projects don’t require the same amount of time and energy. 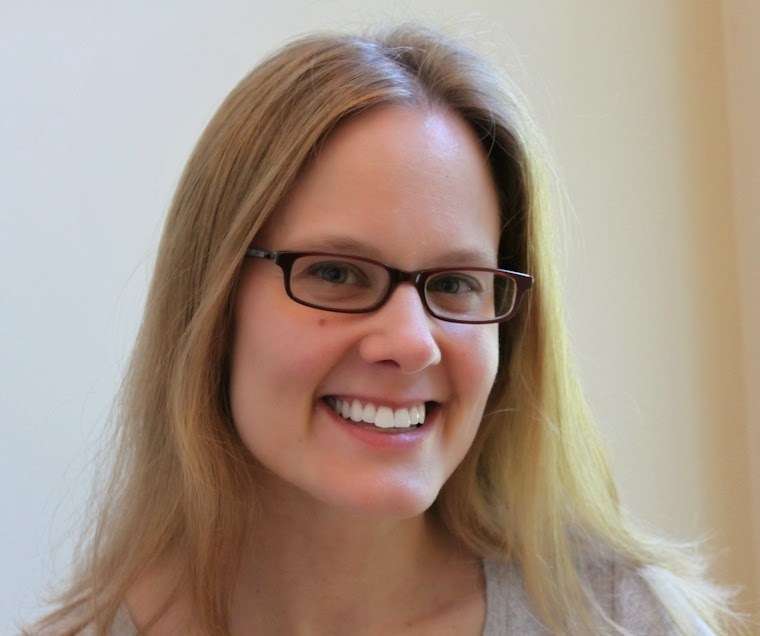 I design some myself—those are bigger time commitments—and writing a corresponding tutorial requires even more time. 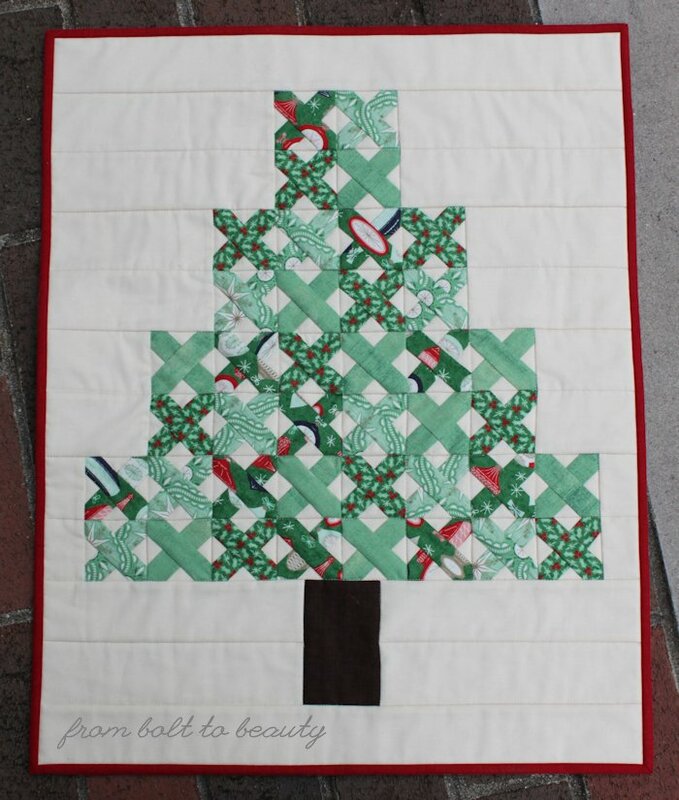 But one of my current projects, my Outlined Plus Quilt, was designed by someone else. I’m even using a bundle of Basic Grey’s Mon Ami for it, so there have been few fabric decisions to labor over. Then there are my nonquilt endeavors. When I grow weary of big quilt projects, I can pick up a bag project in process and enjoy the thrill of a faster finish. 4. I hire a longarmer for a few quilts every year. This is a new strategy for me. 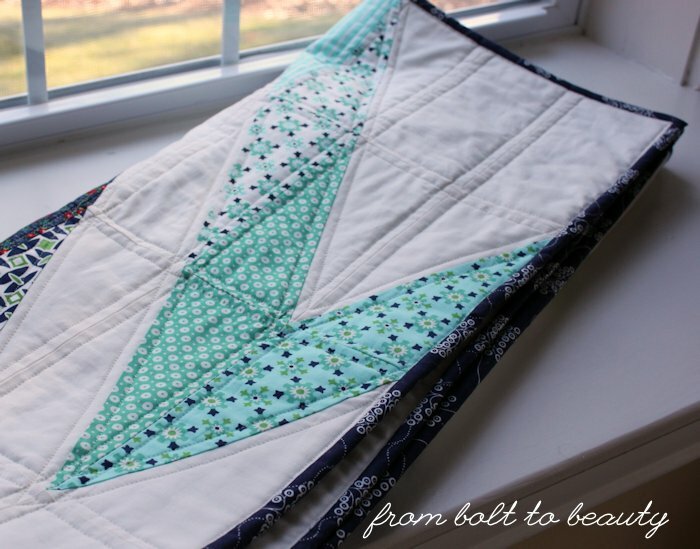 I’m a straight-line quilter, and I quilted my first 20 or so quilts myself. In the past six months, I finished two quilt tops that I knew needed something more than the straight lines I would quilt on them. This strategy makes my expensive hobby more expensive, but it helps me finish more big projects. 5. I finish almost everything I start. I am not a compulsive project starter. Sure, I have a bunch of things going on at once, but I finish the vast majority of them. Occasionally, I do abandon something—I give myself permission to bail if need be. 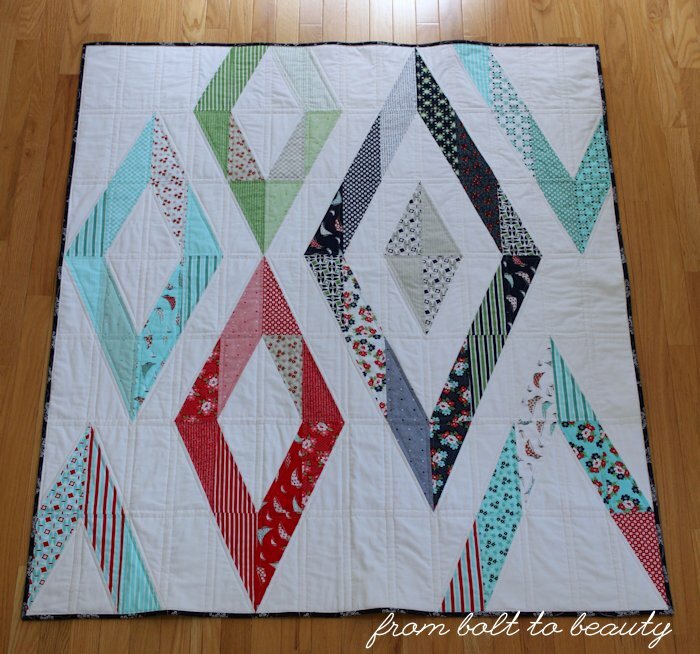 Remember my petal quilt, broken chevron project, or fiddly Christmas table topper? You likely will not be seeing them as finishes—ever. What about you? What are your big-picture strategies to checking off items on your to-do list? I don’t think I’m in much of a position to complain—winter has been pretty wimpy here in New England. A few weeks ago, though, I got all twitchy about the dreary skies and salt-covered cars and grayness of it all. Since quilting is my solution to almost everything, I made a quilt, an effort to combat my spring-deprived state. 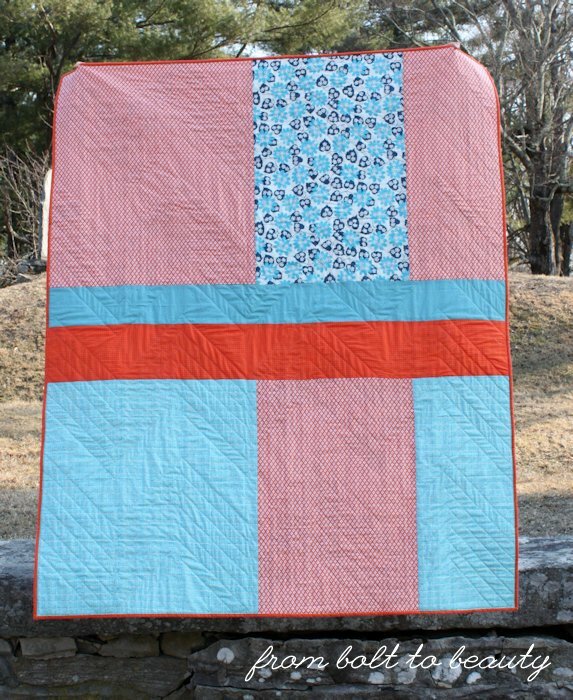 Pairing gray 2.5-inch squares with ones in gold, orange, blue, navy, and green, I made a scrappy version of my Ridiculously Easy Jelly Roll Quilt and named it Good Day Sunshine. Good Day Sunshine: my solution to the end-of-the-winter blues. I’m pretty sure I’m the only quilt blogger who has photo shoots at the cemetary! 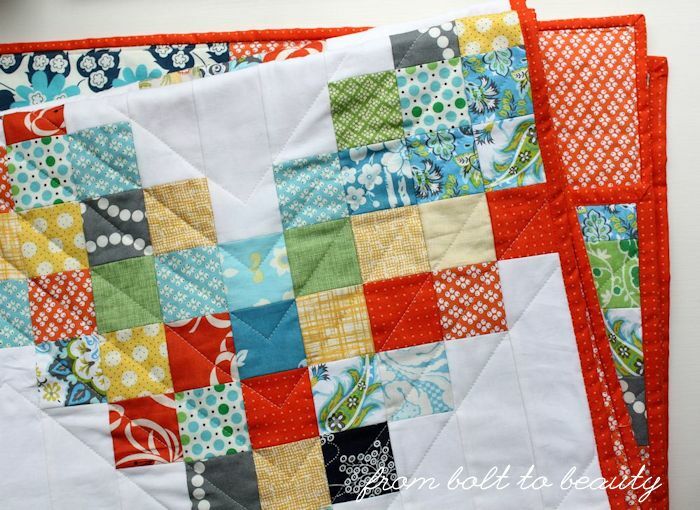 To make your own Good Day Sunshine Quilt, head over to Sew Mama Sew for the tutorial! Lots of lovely Denyse Schmidt fabrics on the back. 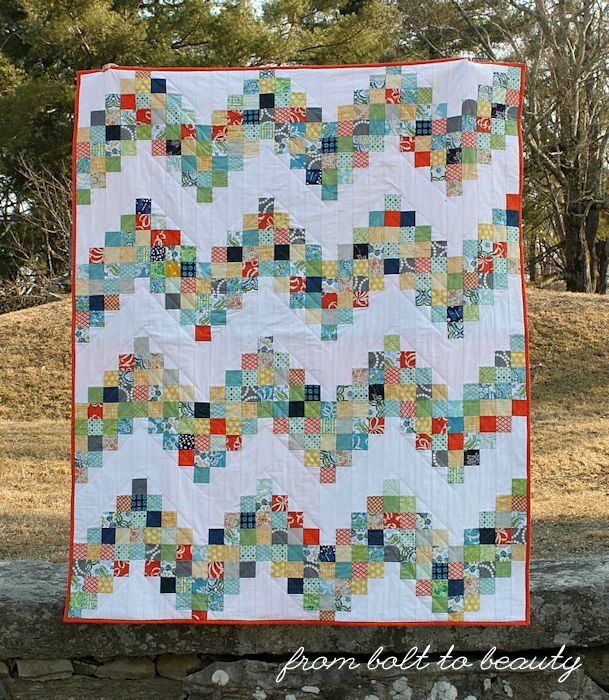 I really enjoyed quilting this project with big chevrons that mimic the design. 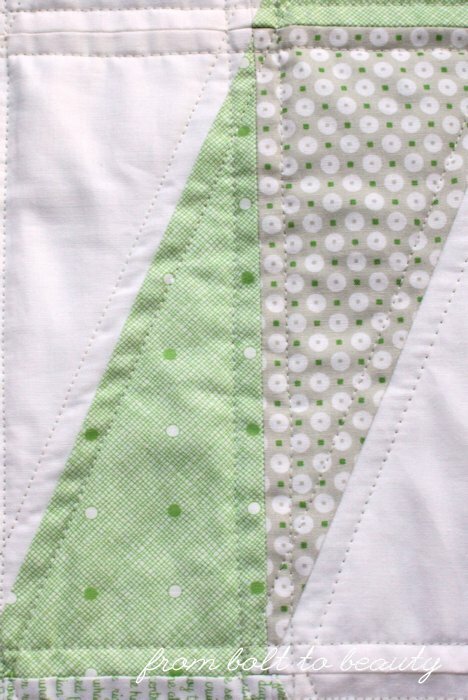 For those of you who are keeping track of the math, I did use a jelly roll in this project—a solid white one. In January, I noted that after using two jelly rolls, I still had four stashed. You would think I’d be down to three now, right? Nope. My boys bought me this beauty for my birthday in February. 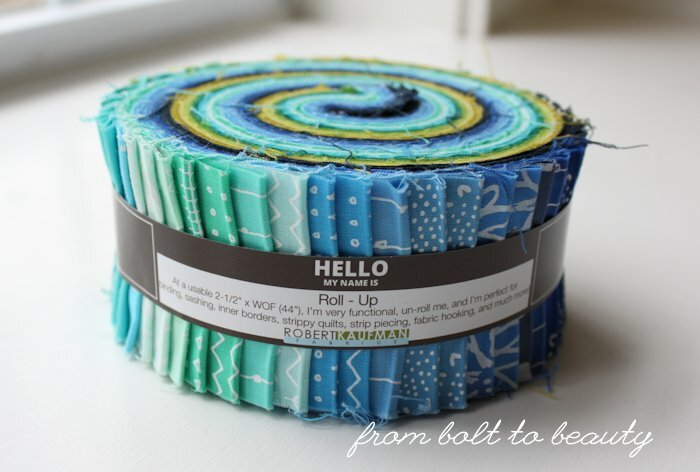 Three jelly rolls down, still four to go! It’s not in my best interest to write this post. After all, by informing you of the Le Challenge contest, I’m lessening my chances of winning! But I’ve had a bunch of new readers lately, and I thought this was a good way to introduce newcomers to From Bolt to Beauty. 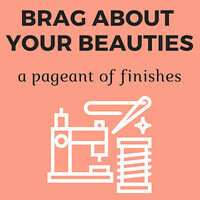 Every month, Lucy (Charm About You) and Nat (Made in Home) host a contest called Le Challenge, and they start by announcing a theme—anything from bright to nature, from ink to wood. Participants then create something in line with that theme and submit their completed project to a linky on the 15th of the month. One randomly selected player receives a prize. Nice, right? For my first-ever Le Challenge, I made a Rubik’s cube ornament (which my husband has since deemed too large for our Christmas tree) because it harkens back to the era I grew up in, the 1980s. I have just one thing to say about quarter-inch sashing: never again. I interpreted mix to mean mixed up and rendered a cross-stitch pattern in fabric instead of floss—ha, ha! 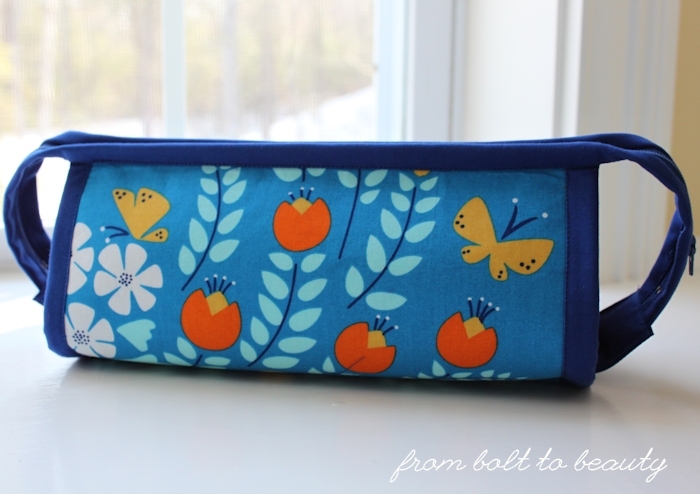 In March of last year, I was finishing up my fifth Sew Together Bag, a testament to my passion for that pattern and its requisite four zippers. Of course, since then, I’ve made a sixth and seventh! 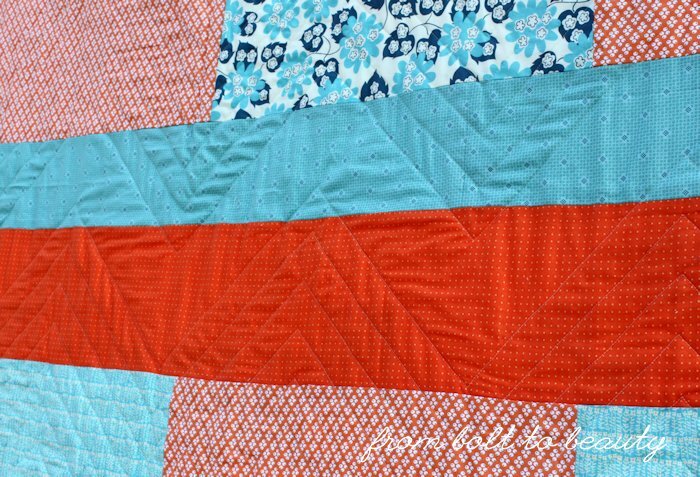 This quilt, my Ridiculously Easy Jelly Roll Quilt, and its accompanying tutorial exemplified last November’s method theme. My most recent submission was the Complementary Tote, complete with rounded corners, that I made for Bonnie Christine’s Succulence Blog Hop. So that’s my spiel for Le Challenge. You don’t need to blog to enter the linky—you can play with a Flickr or Instagram account instead. The theme for this month’s theme is reading. What the heck?! I don’t have any idea where to go with that.